One of the main reasons Jon and I started Long Live the Internet was to teach people just like you reading this, about making money online. 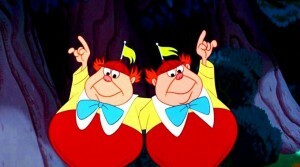 We aren’t interested in the somewhat scammy internet marketing tactics or affiliate marketing schemes. We have built a few SaaS products and a few information products (books / courses). We have succeeded and we have failed. But most importantly we just keep going. 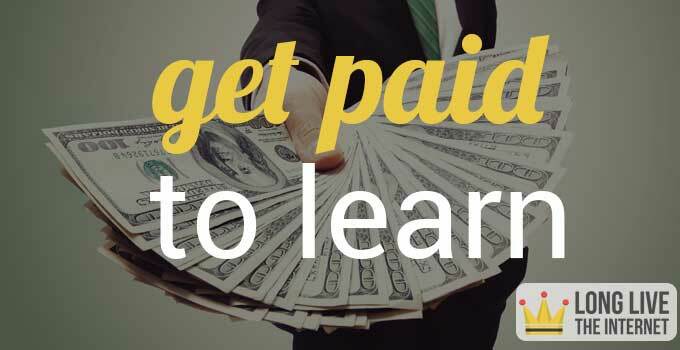 In this post I am going to describe how you can get paid to learn. We used a technique very similar to this to get our digital agency off of the ground. If you are persistent, you can earn some extra cash and get paid to learn. One topic that is hot everywhere in the world right now is learning how to code. Everyone from President Obama to former mayor Bloomberg and Mark Zuckerberg are extolling the virtues of learning how to code. Coding is being marketed as a panacea to cure all that ails the world. There are hundreds if not thousands of free resources available if you are trying to learn how to code. I have tried a few of the services and overall they are amazing tools. The problem with all of them is how they approach the problem. Coding is a skill. You can learn how to properly format code and some of the primary data structures, but where these platforms really struggle is in the application of what you have learned. For all of the advancements online learning tools have made over the past year, students will typically fail when trying to take their newly acquired skill and use it for anything other than a coding exercise. This is not an indictment of these services. This is just the nature of learning any new skill. How do you learn a skill? Let’s say you are learning how to play basketball. You practice your jump shot every day at the gym. Your practice includes repetition of the same actions in a contained environment. You have mastered the free throw line jumper. Your routine is the same. Flip the ball out and spin it back to yourself. Line up your feet. Get some arch on the shot and swoosh. You often make 10 out of 10 attempted shots in your practice sessions. Do you think you are ready to successfully jump into a full court basketball game at this point? I doubt it. Add a defender and you are sure to see your shooting percentage drop drastically. That is assuming that you are even able to shoot the ball as you are dependent upon getting open and then making space to take your shot. Your contained basketball shooting practice helps you build a skill, however, it does not prepare you for a real game. This is exactly what most of the online schools will do for you when teaching you how to code. They will do a great job teaching you a certain skill within a contained environment. You will struggle when you have to go out and apply that skill in the real world. Again, this is not an indictment on the online learning sites, this is true of most skills. The actual learning takes place when you are applying the skill you have learned in a contained environment to a real world problem. So let’s say that you are dead set on learning how to code. Maybe you want to start building your own product or maybe you want to start working your way up the web development food chain. Either way, I think I have a system that can help you actually learn how to code as well as getting paid to do it. Sound crazy? It’s not that crazy I promise you. Another reason people typically fail to pick up a new skill that I did not mention earlier is the fact that there is no accountability. This method kicks up accountability to a new level. Imagine that someone else was holding you accountable for learning how to code. You have accepted their money, so by default you are accountable to them. Here is what we are going to do. We are going to look for potential freelancing jobs in the skills that you have either just recently learned or want to learn. Prepare to be amazed by the opportunities you are going to find while learning how to code. The largest freelancing marketplace is Elance. I am going to use their service as an example, but you can apply this system pretty much anywhere. Let’s first sign up for an account. You can do that here. Make sure you select, I want to work. Make sure you choose I want to work. Next fill out your registration information. Look at all of those jobs! Once your registration is complete you should add some information to your profile. You want to add as much information about yourself as possible. You also want to be as honest and transparent as possible. Post a picture of yourself and write a short summary about who you are. You have not completed any work on Elance yet, so your profile needs to sell your qualifications to any potential employers. At this point you might think I am crazy. You might be thinking to yourself, “Wow, I am doing a lot of work just to improve my coding skills.” To that I would say, yes you are. That is kind of the point. You are getting out of your contained environment. Gone is the easy free throw line jumper from your contained basketball practice. You are getting in the game. 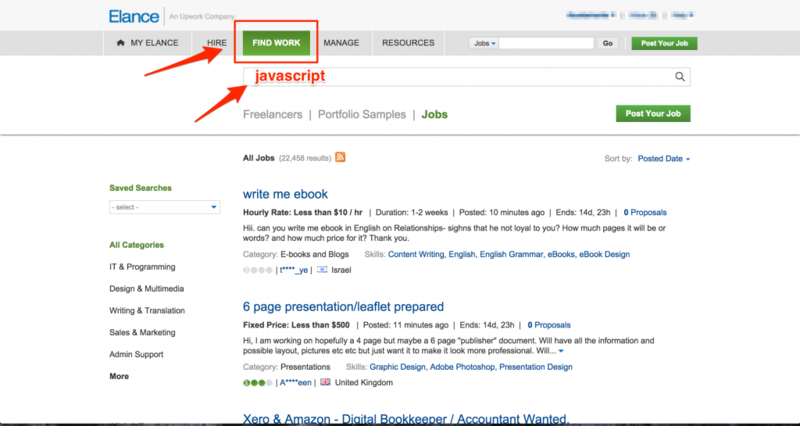 If you set out to “learn how to code” by freelancing, you are learning this skill by actually getting work. Companies like Elance are often frowned upon by more established developers or designers. They complain that it is a race to the bottom all fueled by competition on price. These folks might be right. But in this exercise we are using all of the available jobs to our advantage in our quest to learn how to code. If you had a different reason for “learning how to code,” let’s say to build your own project. I still believe that this method of getting paid to learn is extremely beneficial. If you tried to go from learning a skill online and then immediately starting your own project you would most likely get lost and abandon the project. By getting your feet wet working for other people you have the benefit of a defined job and someone else to hold you accountable. Let’s dig in and submit some proposals. Keep in mind that this is going to be difficult. You are going to have to be persistent. More often than not you are not going to win a job. You wanted to learn how to code right? Let’s learn and make some money in the process. You should see a bunch of results. In my experience it is better to work with US clients. 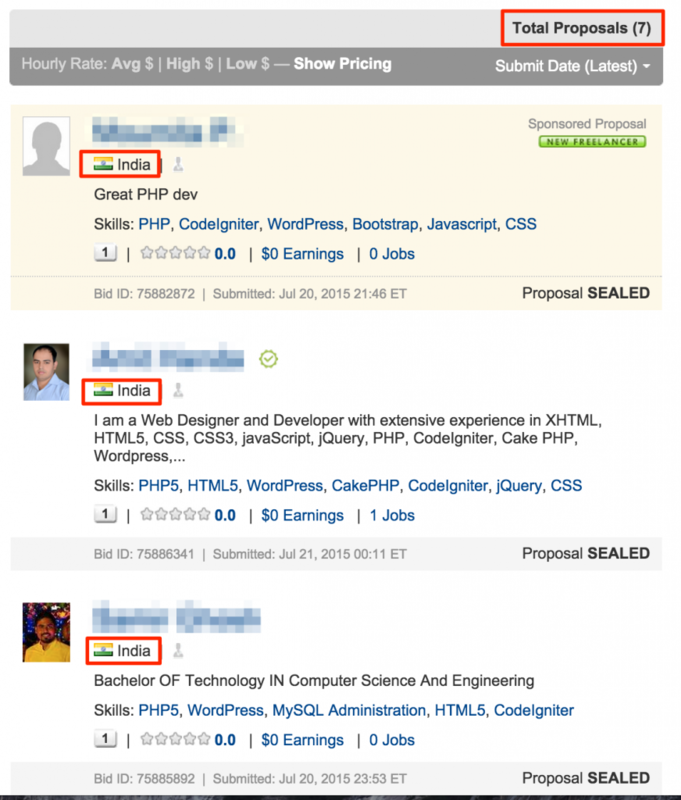 If you are reading this in another country, I would recommend filtering jobs to your country. You can filter using the pane on the left hand side of your screen. Keep it somewhat local. You know your country best. Click on the title of the post. On the details page I like to look at a few different items. First is the location of the client if available. 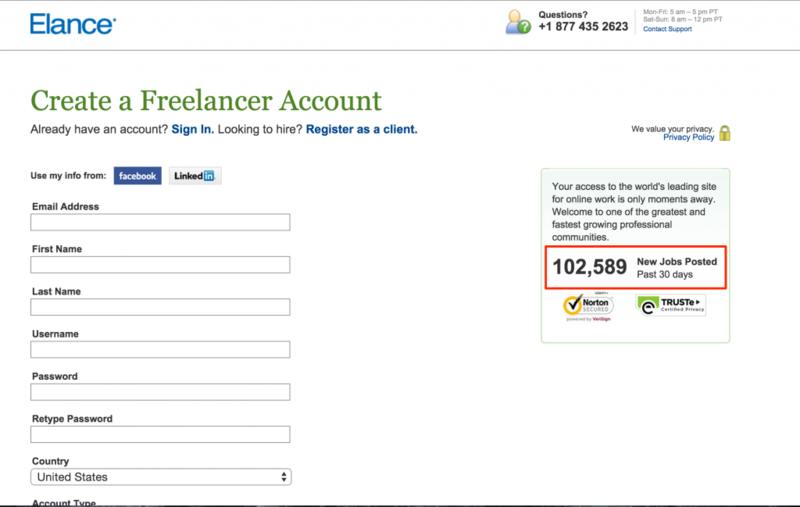 Second is the amount of proposals on the job and the location of the freelancers. I will use the location of the potential client to personalize my proposal in the hopes of standing out. I will use the other proposals and the location of the freelancers to further personalize my proposal. In this case you can see that there are 7 current proposals. While the client is in the United States all of the proposals are from freelancers in other countries. We should use this to our advantage. I am trying to stand out from 7 other proposals. I doubt that any of the other proposals know anything about Philadelphia. In this case I do not know the client’s name, as they have chosen not to publish it. The client’s location is my best chance to grab their attention. From there I keep it simple and try to rely on some good old fashion patriotism to win the job. 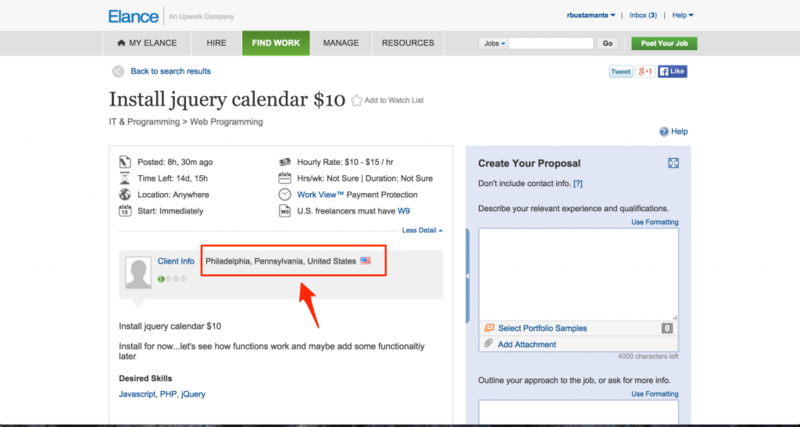 I noticed none of the other freelancers bidding on the job are in the USA. I use my location to separate me from all of the other proposals. Then continue filling out the form with required information. In the cost and timing section I am going to enter exactly what the client is looking for. Remember, they gave their price in the subject line. I enter $10 billed to the client. This means that I will make the $10 minus Elance’s fees. I will typically not pay extra to have my proposal sponsored. In my experience sponsored proposals did not get me a better response than not sponsored. You might have a different experience and this brings me to my next point. Keep track of the jobs you are bidding on and when you get responses. I used to keep an excel spreadsheet that would have the name of the project, the URL, the proposal amount, if I got a response, if the job was ever awarded and if I was ever awarded the job. If you keep track of your history it will make it easier to spot trends and improve on your proposals. Your first goal should be to get a response on a proposal. After that, your next goal should be to win a proposal. Once you have won a proposal you need to fulfill the work as quickly and professionally as possible. If you actually learned anything using this system you should then do it again. 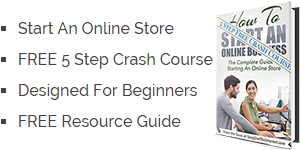 You can use this system to great success and it is not limited to learning how to code. If you wanted to learn how to write professionally or become a voice over artist you could do the same thing. You might have to find a different marketplace to find work, but the basics are the same. First learn a specific skill and then get paid to apply the skill while mastering it.